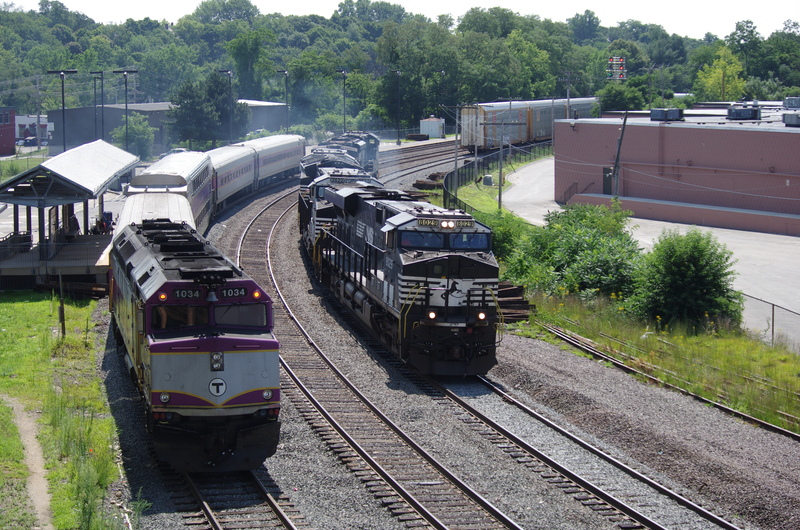 The power from train 287 has cut off their train at Fitchburg, MA station and heads up the hill to give 23K a push. 23K lost their lead engine between Westminster and Gardner. Meanwhile, an inbound commuter to Boston waits to depart.